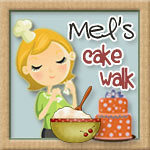 The cake was iced in chocolate ganache (yum!) and then decorated with fondant accents. 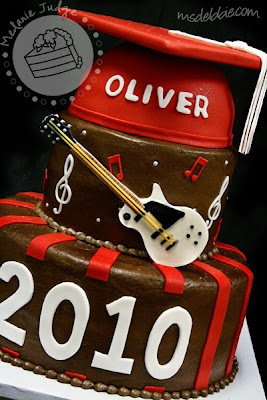 The guitar was pre-made out of gum paste to replicate Oliver's real guitar. 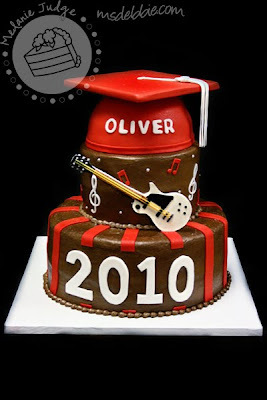 The graduation cap was also a cake with a fondant-covered cardboard mortar board. I like this cake because it's fun, simple, and definitely masculine. Rock on, Oliver! Chocolate ganache sounds so yummy! The guitar detail is so perfect. Great cake!